The Southern African Catholic Bishops’ Conference has offered condolences to the Family of “Mama Winnie”, and Africa as a whole following the death of Winnie Madikizela-Mandela, the former wife of the late South African anti-apartheid leader and President, Nelson Mandela, who died on 2nd April at the age of 81.“We have lost a true heroine,” they said in an initial statement. However, he admitted that she had a “complex” history. “Mistakes were made arising from a suffering and impetuous heart. To witness the deep humiliations of one’s people every day, to observe as a social worker, the blanket inequality of access to welfare, health, schools, land and basic rights were bound to cloud the mind,” he said. Tributes have been paid by other Christian Leaders. 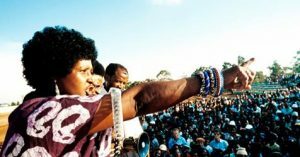 Archbishop Emeritus Desmond Tutu said, “May Mam’ uWinnie rest in peace and rise in glory.” Winnie Mandela was very prominent in the fight against apartheid in South Africa but later was the subject of controversy as she was linked to violence. The Archbishop was chairman of the Truth and Reconciliation Commission, which held hearings in South Africa at which Winnie Mandela was questioned about her actions. In his statement after her death the Archbishop stated that she was, “for many years a defining symbol of the struggle against apartheid.” He continued that she refused to be “bowed” by the imprisonment of her husband and harsh treatment of her family by the security forces. “Her courageous defiance was deeply inspirational to me, and to generations of activists,” he said. 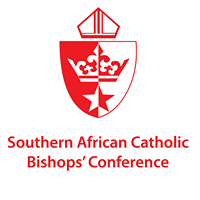 The Archbishop of Cape Town, Thabo Makgoba, Primate of the Anglican Church of Southern Africa, who was in London for a meeting of the Lambeth Conference 2020 Design Group, at the time of her death, offered condolences to the family. Archbishop Thabo got to know her over many years and wrote a book about her titled: “Madiba. Faith and Courage: Praying with Mandela”. When she was banished to Bradfort in Free State by the apartheid government, he visited her and found she was living alone in a council house with no electricity and could have been attacked at any time. The Anglican Bishop of Johannesburg, Dr Steve Moreo, said that during her life she was in close contact with all parts of the Church. She was a practising Methodist, she used her strong ecumenical links to reach out to other denominations, including the Anglican Church of Southern Africa, and the Diocese of Johannesburg in particular. Her insight helped the Anglican Church in the 1970s and 1980s to be part of a Christian witness against apartheid.